The most dangerous reaction which can occur to food is anaphylactic shock after eating tiny amounts of a specific food. This happens because the body has developed a specific IgE antibody against that food which circulates in the blood and sensitises mast cells all over the body. These sensitised ‘mast cells’ disintegrate on contact with the food molecules, liberating histamine and other substances which cause a generalised reaction such as a rash all over, a drop in blood pressure, and collapse. After the victim has recovered it is vitally important that the cause is pin-pointed by referral to an allergist as soon as possible. Skin prick tests and blood tests may be positive but, if the suspected cause is an unusual food, special testing material may not be available for skin or blood tests. In this situation a test may be improvised by using the suspected substance itself for a prick test. The suspect food may have to be supplied by the patient. In this country at present it is not uncommon for no cause to be found, and a diagnosis of “Idiopathic Anaphylaxis” made. It should always be explained clearly to the patient that this diagnosis means that the cause has not been found, and therefore another attack could occur at any time. Why some foods are more liable to cause anaphylaxis than others is unknown. Recent clinical and immunological research has found that because of similarities in the structure of the molecules of latex rubber to Kiwi, banana, melon, mango, fig, and buckwheat, serious reactions may also occur in rubber allergic patients after eating these foods. Reactions in the mouth and lips to various fruits in people who are allergic to birch tree pollen in April and May have been shown to be caused in the same way by cross-sensitisation. 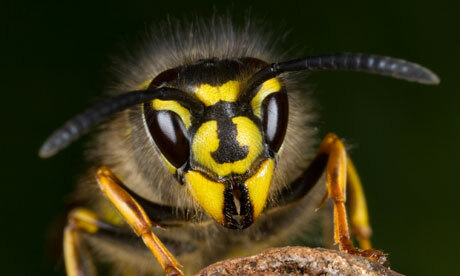 Stings from wasps, bees, and other insects which inject their venom can also cause anaphylaxis. 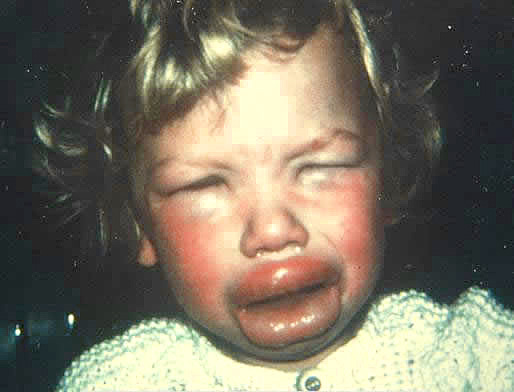 This is one of the very few allergic problems which are presently treated by the NHS using desensitisation techniques, if an allergy centre can be found to carry it out. This treatment consists of injections of gradually increasing doses of venom until the patient becomes desensitised and no longer reacts. 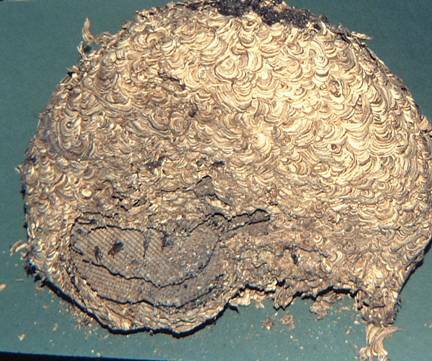 Many years ago this wasp’s nest was found in a dolls house which had been used as a bird house. After sunset I taped over the doors and windows and brought it home in the car. I remember the wasps getting very agitated sitting beside me on the passenger seat, but none escaped. I constructed a grid of negative and positively charged wires covered with a thin rubber membrane, with a space behind it so that they could come out. When they got a shock they stung through the rubber membrane, thus depositing their venom on the outside surface; contributing wasp venom for testing and research. Wearing warnings of latex allergy are also extremely important, because if someone is already in shock due to latex exposure it would make matters much worse to use latex gloves when treating them in Accident & Emergency. MedicAlert require a fee to cover expenses, but it seems quite wrong that this potentially life-saving warning is not supplied by the NHS. It is the least that could be done at present! All patients who have had an attack should always carry two ‘in date’ adrenaline injectors (Epipen or Anapen) with which to treat themselves immediately in the event of an attack. To carry two is most important because one injection may not be enough to stop the reaction. Appropriate instruction and training in how and when to use the syringes is essential, but sometimes overlooked. It is also very sensible to join the Anaphylaxis Campaign, (www.anaphylaxis.org.uk or helpline 01252 542 029). A voluntary organisation which ensures that anaphylaxis victims are kept aware of the latest news and treatments. I also prefer all patients at risk of anaphylaxis or severe asthma attacks to have 20 betnesol tablets in a foil pack in their possession at all times with written instructions to take up to eight tablets if there is any threatened emergency. This applies to asthmatics as well as those liable to anaphylaxis because these tablets are very soluble and are absorbed almost as quickly as an intravenous injection. This preference is also because I have recently come across a few cases where it seems that the red enteric coated prednisolone tablets, which are almost always prescribed, are sometimes not absorbed at all and therefore have no effect. The red enteric coating is designed to prevent irritation of the stomach by not dissolving until they have passed into the small intestine,. Unfortunately most of today’s doctors are unaware of this soluble steroid which has been available for over forty years and has never caused serious gastric side-effects in any of my patients. Adrenaline injections should be given as soon as a serious reaction is beginning --- the sooner the injection is given the better as waiting too long can be fatal .